Your heart rate is a convenient, reliable, and personal indicator of the intensity of your training. Knowing your heart rate helps you decide whether to increase or decrease the intensity of your training, based on your goals and fitness level. Although there are many subjective clues indicating how your body is reacting to exercise (perceived exertion, breathing rate, physical sensations), none is as reliable as measuring heart rate. It is objective and affected by both internal and external factors, and is therefore a dependable measure of physical condition. Maximum heart rate (HRmax) is a value used to define your target heart rate limits. HRmax is the highest number of heartbeats per minute (bpm) during maximum physical exertion. 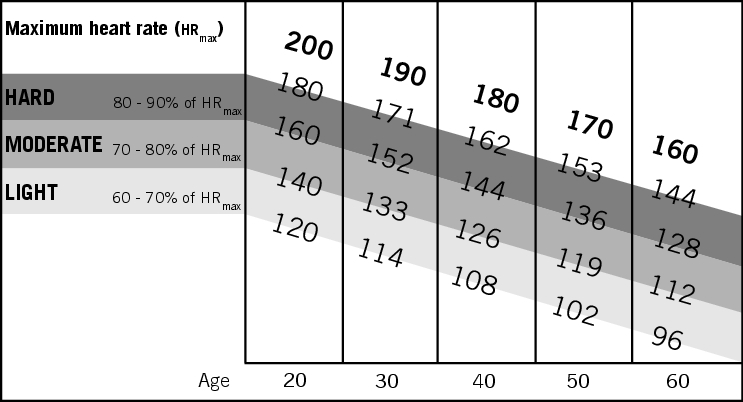 HRmax can be calculated (estimated) based on your age: 220 - age = HRmax. Training intensities can be expressed as percentages of HRmax. 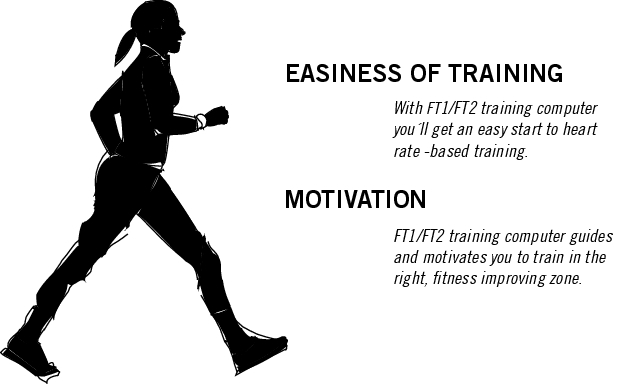 There are three different training intensities: Light, Moderate and Hard.